Did you know that joining crochet granny squares can be just as creative as crocheting them in the first place? Whether you realize it or not, the join you choose for finishing projects will make a huge difference in the way your items ​end up looking. Learning the different types of joins will give you the skills that you need to finish projects in a way that is perfect for the effect you are attempting to achieve. For example, you could choose a textured join or a flatter join, a decorative join or one that nearly disappears into the work. Each option has an entirely different effect! Once you're aware of all the creative possibilities, you'll open up a whole new world for yourself in terms of completing your crochet work. Whether you're joining granny squares or other motifs, these joining methods will expand what you can create. Whip stitch is a method that can be used for sewing granny squares together but you can also use it for sewing seams, attaching other types of crocheted pieces together, or adding decorative details around the edge of a crocheted piece. This is really a go-to crochet technique that ought to be learned even by beginner crocheters. Whipstitching is technically a sewing technique so for best results, you'll want to use a tapestry needle with a large eye and a blunt tip to create this join. Anyone who is already familiar with hand sewing will have an edge up when learning this method of joining crochet. Even without experience, though, this proves to be an easy technique that you can learn quickly. The slip stitch join is a simple crocheted join. It is a great choice for people who do not want to have to implement sewing techniques into their crochet work since it is done with a crochet hook. As the name suggests, you are connecting two motifs together by attaching them using the slip stitch. You can use the same crochet hook you used to make the granny squares (or other pieces) you want to join. If you find it more comfortable to use another size (perhaps slightly smaller,) feel free, as long as you are easily able to achieve the same tension with the crochet hook you choose. Either way, you're basically just working a slip stitch while holding two motifs together, working on the wrong side of the pieces to make a mostly invisible join. You can use single crochet stitch to join crocheted pieces together. 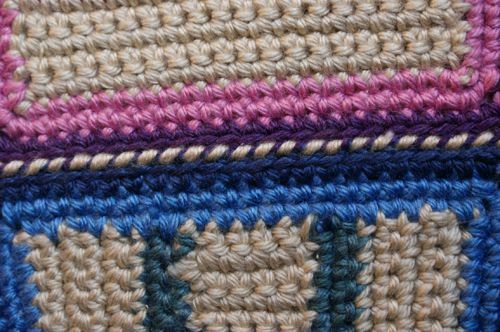 This would be worked very similarly to the slip stitch join, connecting two motifs together using a familiar crochet stitch. In this case, the seaming is going to be a bit bulkier and won't lie flat, which make sense since the single crochet stitch is obviously taller than the slip stitch. This is a great joining method for times when you want to add detail through the joining. This example of joining crochet motifs was inspired by a love of rag quilts. It replicates the look of a rag quilt but is worked entirely in crochet. It is a highly textured method of joining and is something that you will probably want to use sparingly but it can be highly effective for certain projects. If you're looking for an unobtrusive, barely-there join for crocheted squares or pieces, this join is worth investigating. It provides a method of joining that is almost seamless. This is perfect for joining elements of crocheted clothing, where you don't want your seams to show. This free tutorial comes from WoolnHook by Leonie Morgan. This is an attractively textured join that sort of resembles a crochet braid, hence the name of the technique. 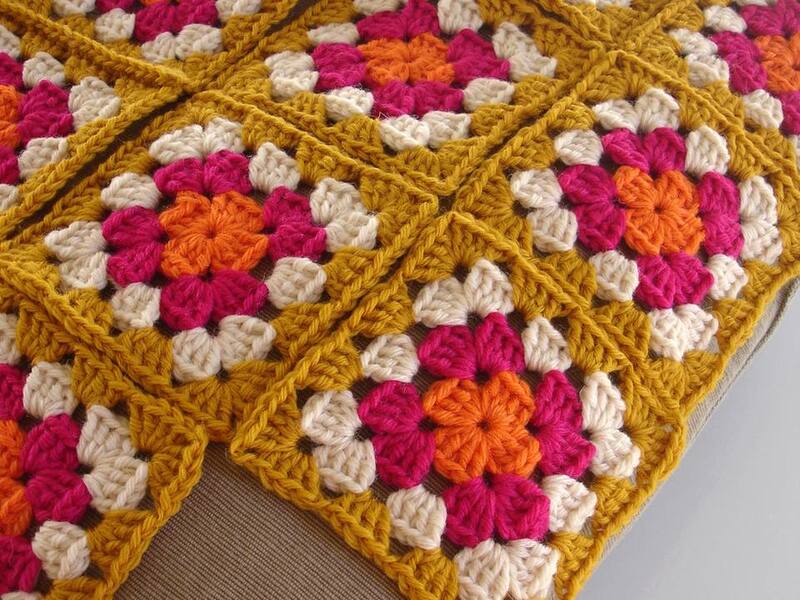 It's a lovely way to join granny squares. If you have created squares or panels with a heavily textured or aran-style look, this method would be especially appropriate for joining them. This tutorial from Moogly comes with video instructions. The join-as-you-go method is ideal for crocheters who do not want to deal with sewing a pile of squares or motifs together at the end of a project. This method allows you to join your motifs together as you crochet them. There's a lot to absorb with this method; if you really want to understand the technique thoroughly, the best resource is Kristin Omdahl's book, Seamless Crochet. There are also plenty of online resources for JAYGO.